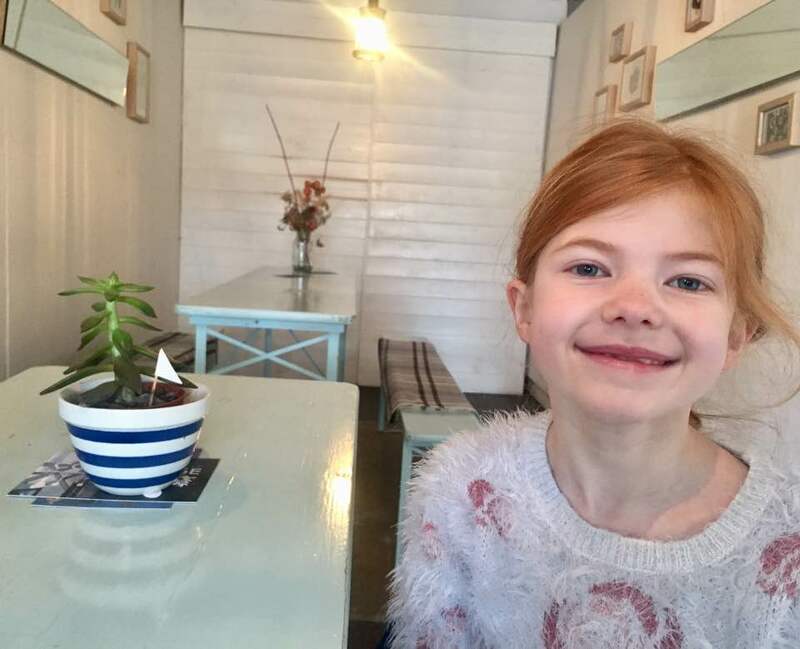 The Cook House is one of Newcastle's real hidden gems. 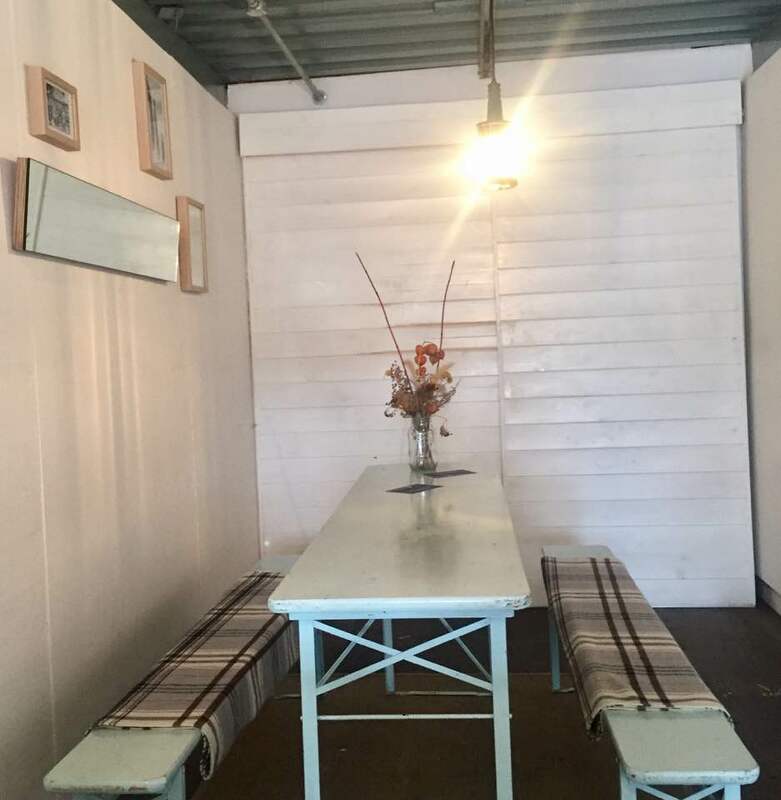 There doesn't seem to be a week that goes by without this former shipping container being mentioned in the National Press as one of the North East's 'must visit' destination for foodies. 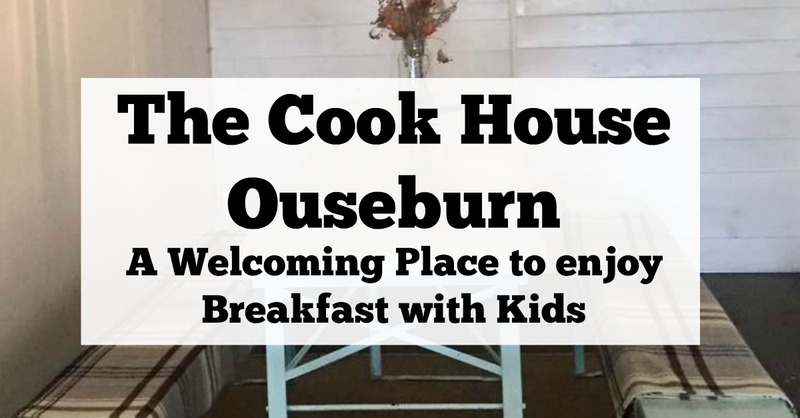 Steve and I have visited a couple of times before without the kids but as we were heading to Seven Stories this Half Term, we decided that visiting The Cook House for breakfast would give us the energy we needed to brave the crowds. We parked in nearby Foundry Lane car park (which is free) and walked along the Ouse. You'll find the Cook House just along from the Biscuit Factory. The Cook House is small but perfectly formed. Owner Anna had a fire on the go so it was lovely and cosy inside. The kitchen is open plan and it really feels as if you are sitting in Anna's kitchen rather than a cafe or restaurant. In the warmer months there's a nice outdoor terrace too. I wouldn't list the Cook House as a typically child-friendly place. There is an open fire, a lack of children's menu and no activity sheets ect........ 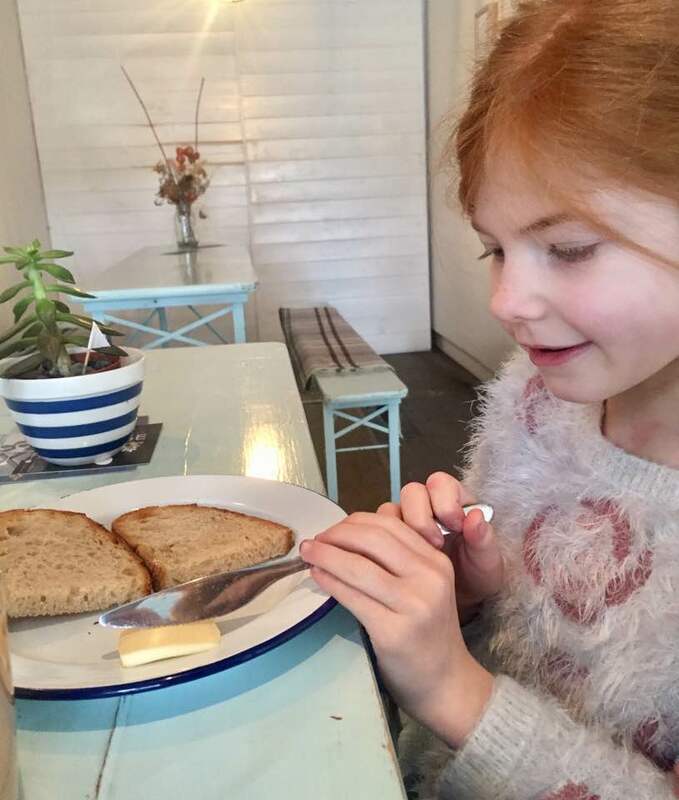 However your children will be made to feel very welcome here and the menu can easily be adapted to suit fussy eaters. 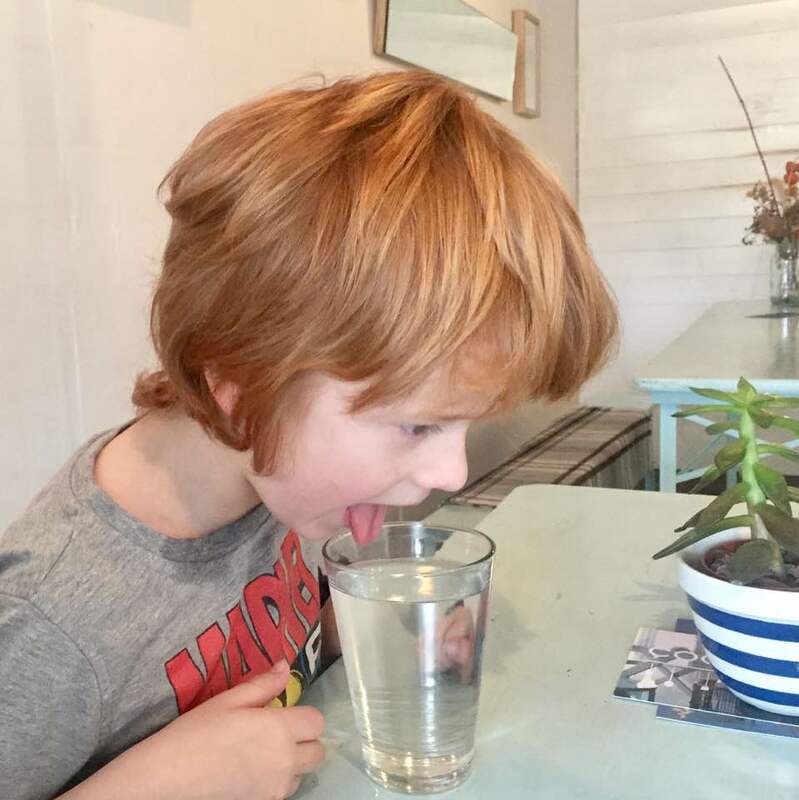 Jack decided to spend the whole time pretending to be a dog and lapping his water from his glass and we didn't feel out of place when this was happening as you can in some places if this makes sense. 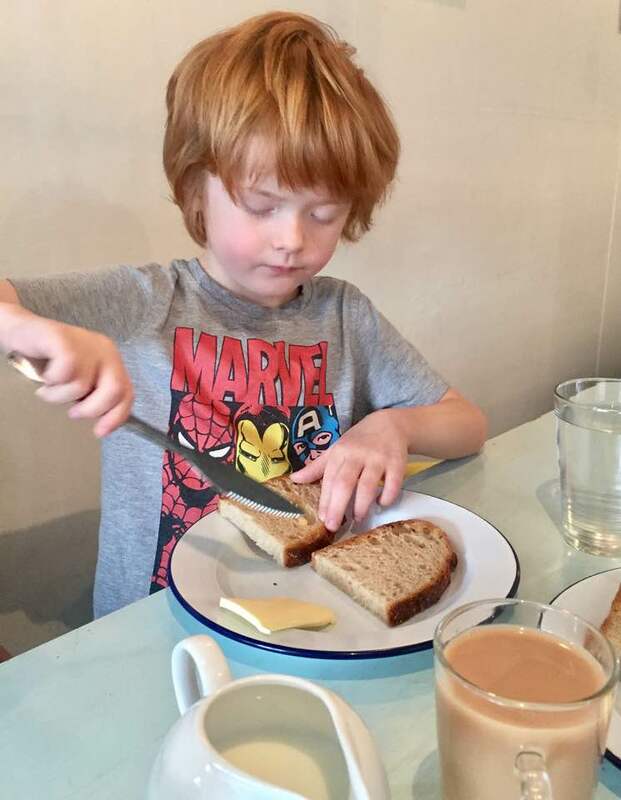 Jack, Heidi and Harry all ordered Sourdough toast with butter. A pretty boring choice I think! I tried to encourage them to be a little more adventurous and perhaps try some local Ouseburn honey or homemade porridge with various toppings but they weren't having any of it - oh well, their loss! I ordered fruit, yoghurt and homemade granola plus Ouseburn coffee. 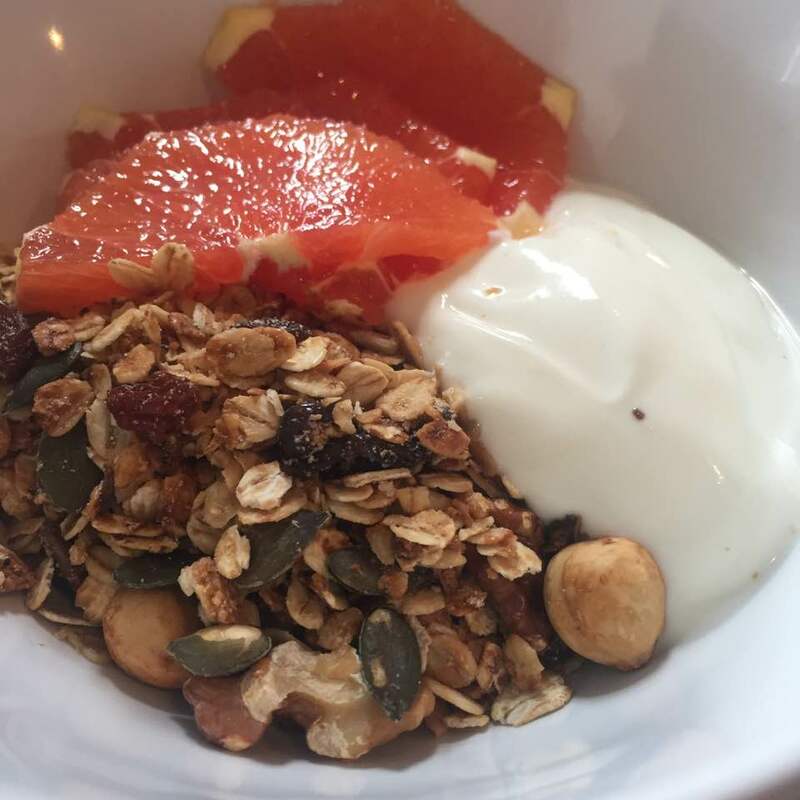 The granola was perfection and I really want to try making my own now as you can 10000% taste a difference when compared to shop bought. 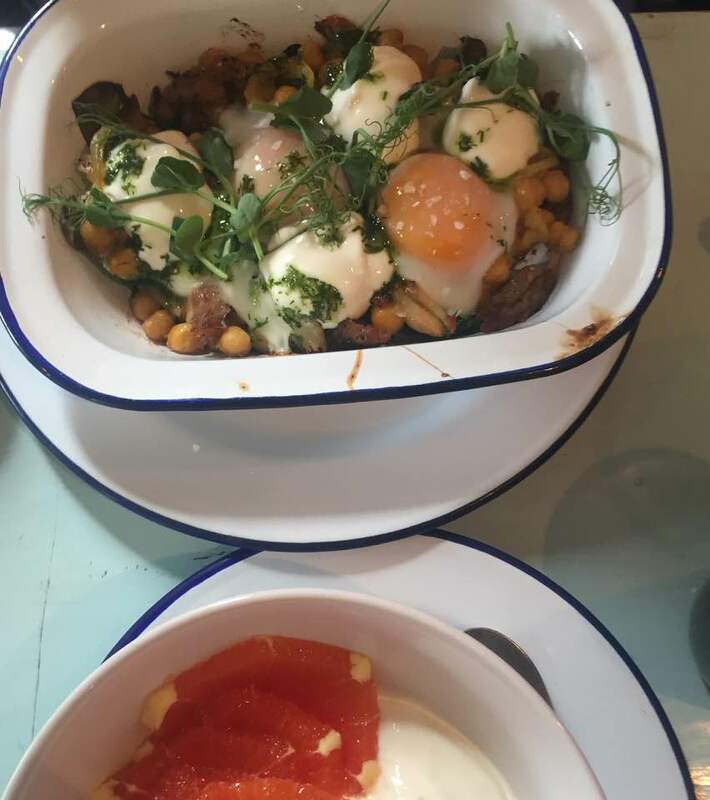 Steve ordered mackerel, curried chickpeas and eggs which is a breakfast dish we haven't spotted anywhere else in the North East. The Cook House is always a good bet if you want to try something different to the normal Eggs Benedict, pancakes and bacon sandwiches that are usually served up at cafes & restaurants across the North. Steve loved his dish and it was gone in no time - as you'd expect, the eggs were perfectly cooked. The Cook House is open Monday - Saturday 9:30am - 3:30pm for breakfast, lunch, drinks and snacks. 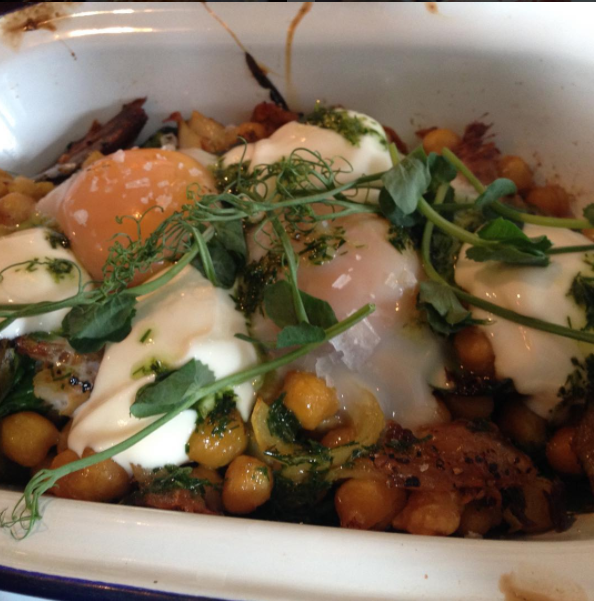 The menu is small but perfectly formed and changes weekly (find it posted on the Cook House website here). No bookings are taken and it's cash only. Our total bill was £24 for breakfast and drinks for the 5 of us which was very reasonable indeed. If you're in the Ouseburn area or visiting Seven Stories, you won't regret popping by for a bite to eat. How have I still not been here?!! I need to pull my finger out, every time I see photos of the food my mouth starts watering! Need to go!!!! This place looks really cute. I think I'll save it for when we have a babysitter for lena though as she'd be like a moth to a flame with that open fire! Steve's breakfast looked lovely.